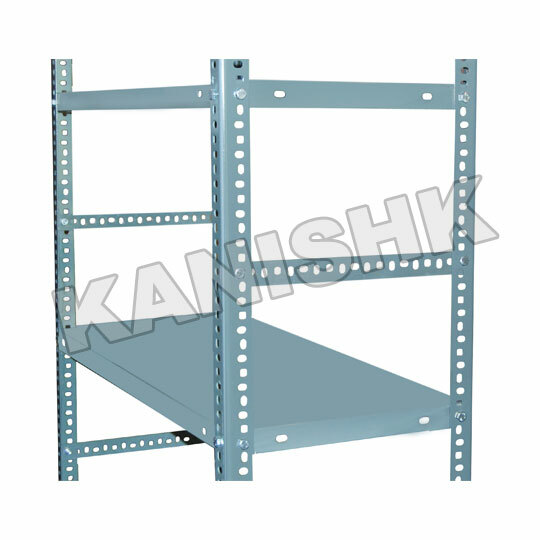 Our Slotted Angle Racks are the best bet for your storage requirement, it's the most convenient, flexible and time saving storage systems, In form of slotted angle racks, we provide an effective solution to the storage needs of your organization. 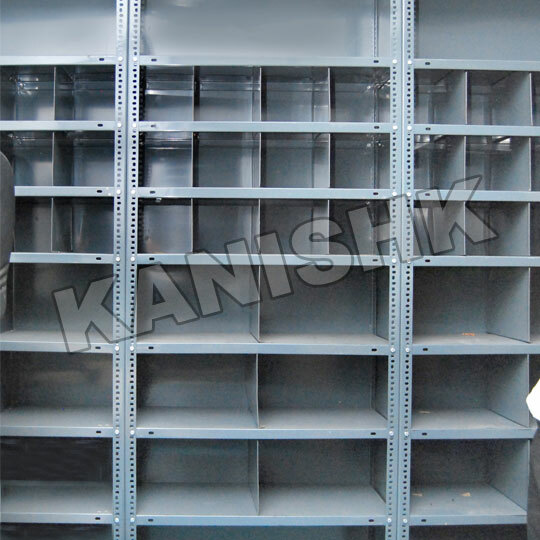 We use finest quality of CR and HR steel, for making Slotted Angle Storage System. 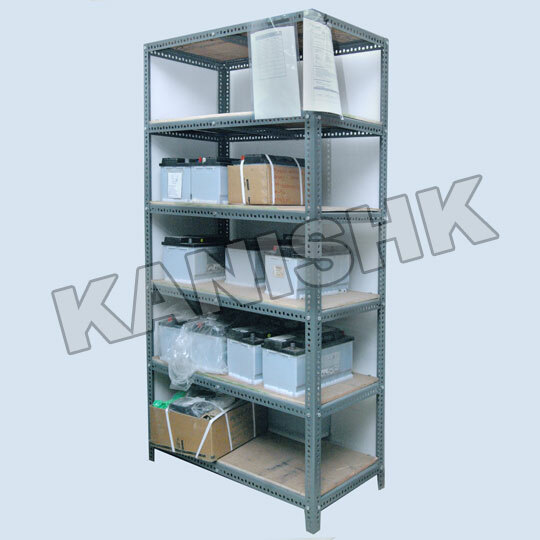 Easy assembly : The simple structure, (Upright, Steel shelf, Gusset, bolt) can build a complete unit. Height adjustable : The unique pre-punched hole on upright allows you adjust shelf height level easily. 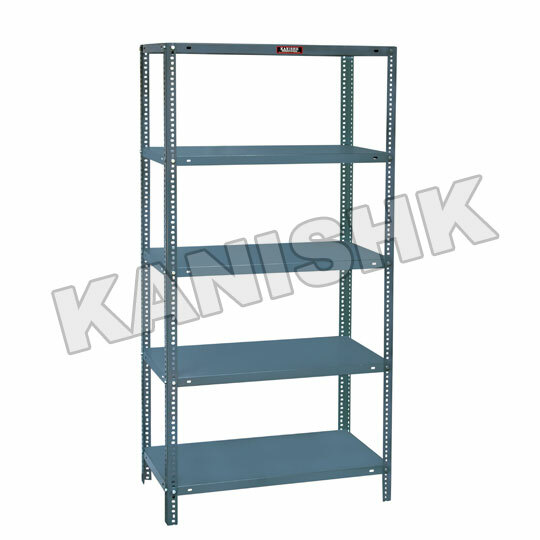 Capacity : Light duty shelving, 100kg to 250kg loading capacity per level. Structure : Sturdy, tough, adaptable, rigid when assembled. 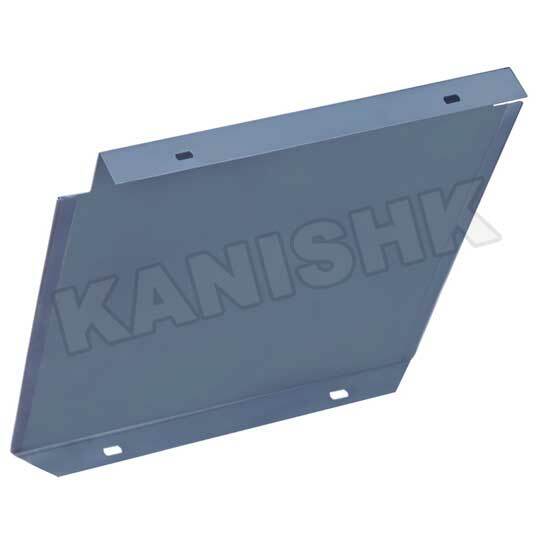 Versatile design : Easy to relocate and ideal for special purpose designs. Cost : Economical, Cheapest cost.